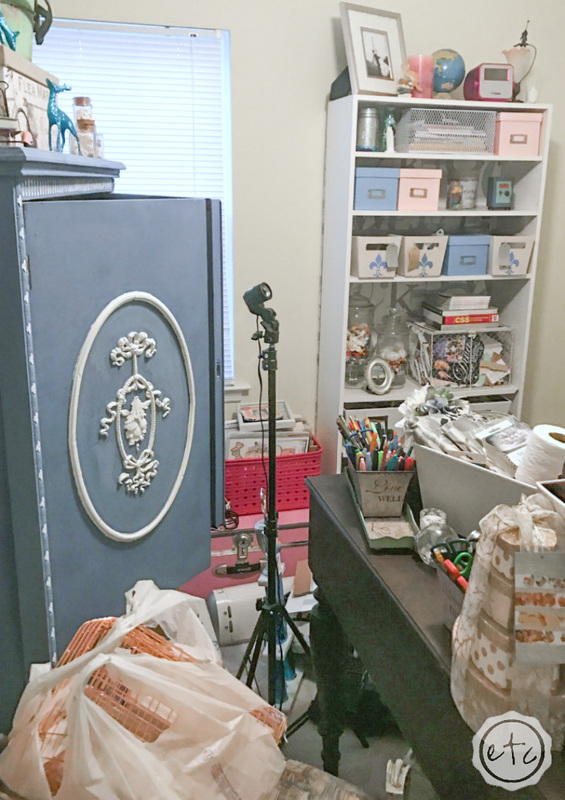 $100 Room Makeover Craft Room Reveal - Happily Ever After, Etc. 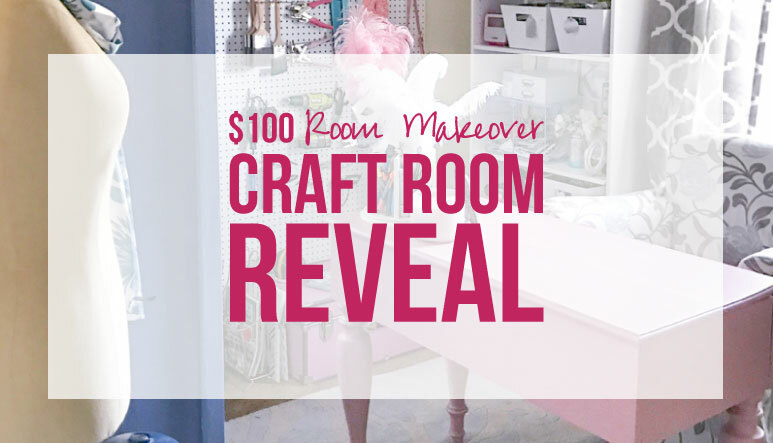 After a month of hard work at our $100 Room Makeover it’s finally time for a very special Craft Room Reveal! If you’ve been following along you’ve seen quite a few projects as we’ve worked our way around the room. 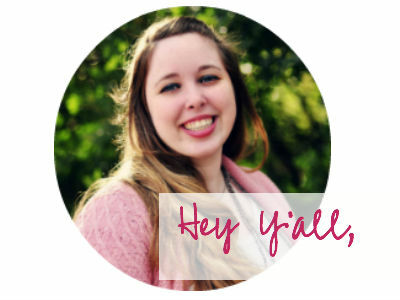 I’m so excited to share the final product with y’all today… I’m kind of in love with it! Of course, before we dive into all of the pretty after pictures let’s go back to the beginning and take a look at what this bad boy looked like a month ago! I had so much to work with! Just take a look at that giant pile of crap. 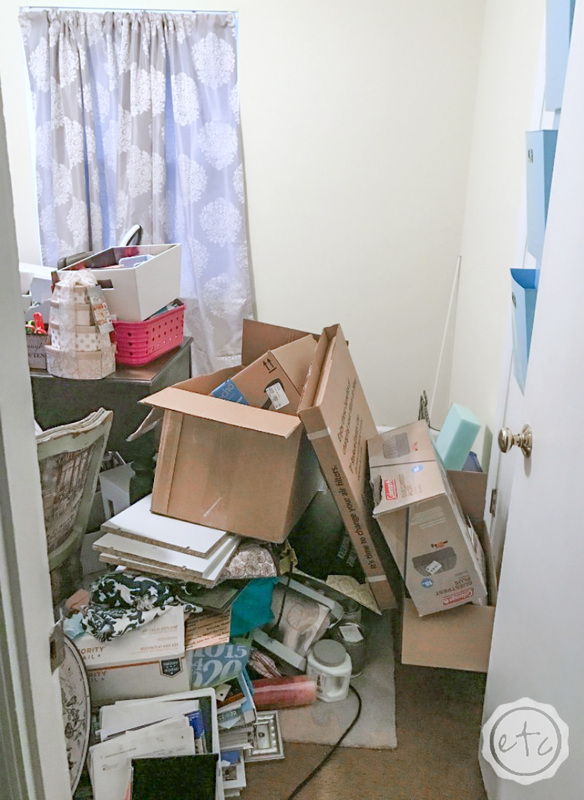 So I set out to build a plan of action… what could I do (with only $100) to improve this room? If you remember my mood board I came up with three different projects to whip this bad boy into shape! 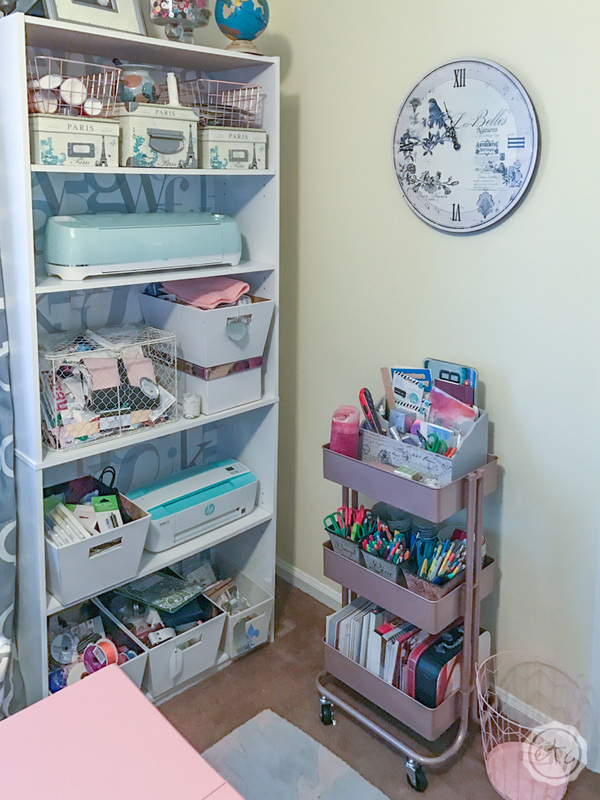 The first step of my craft room reveal was to add storage! I built a second tall bookcase and added a little storage cart for portable shelves. Of course, it doesn’t hurt that the storage cart I found is rose gold! 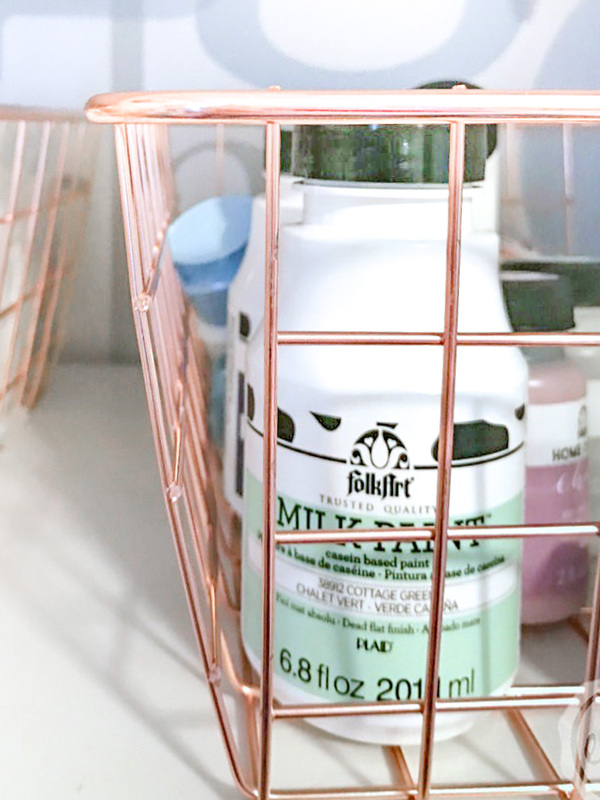 I mean my current life goal is to turn everything rose gold so the new storage cart definitely hit all the right spots. 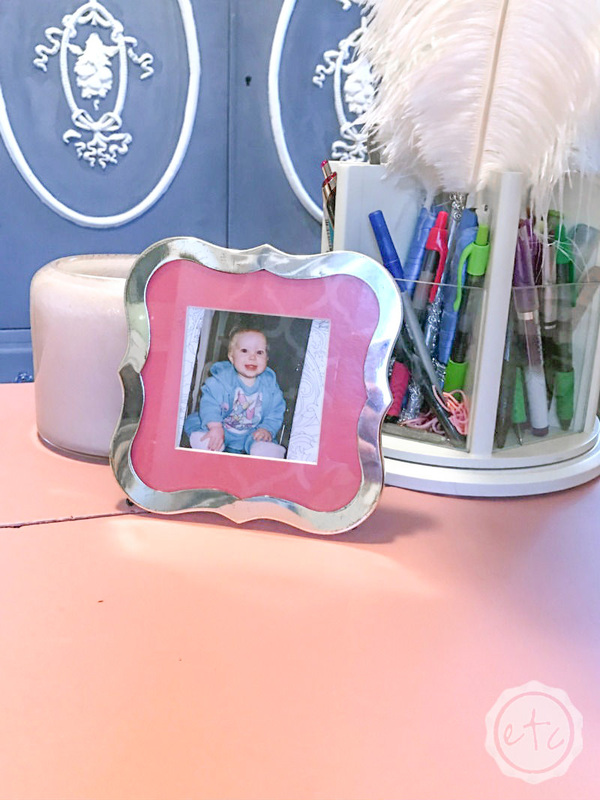 The second step of my little craft room reveal was to paint my desk a gorgeous blush color. 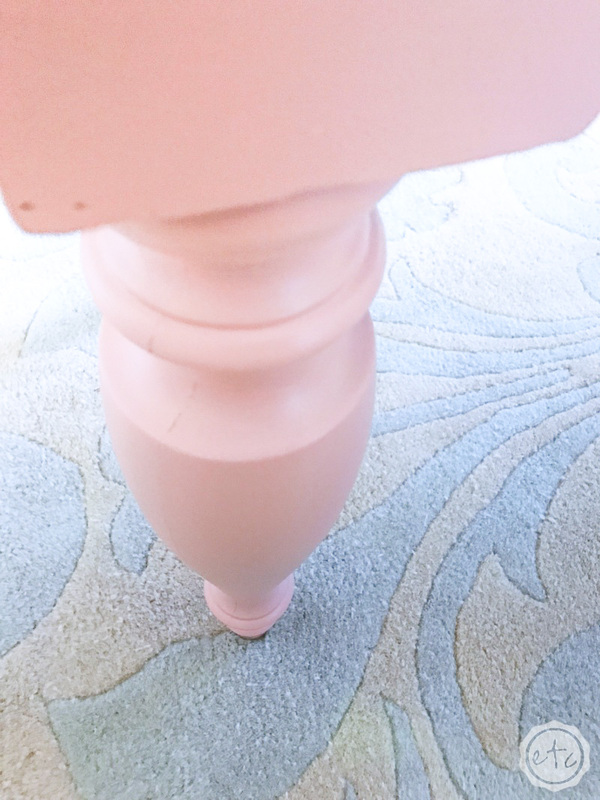 I hesitated before breaking out the paint brush on this one (I love painted furniture but I don’t love painting real antiques) but this guy needed some TLC so I finally just decided to go for it! It turned out better than I expected and really softens the entire room. Which is kind of amazing. This might be my favorite part of the room! 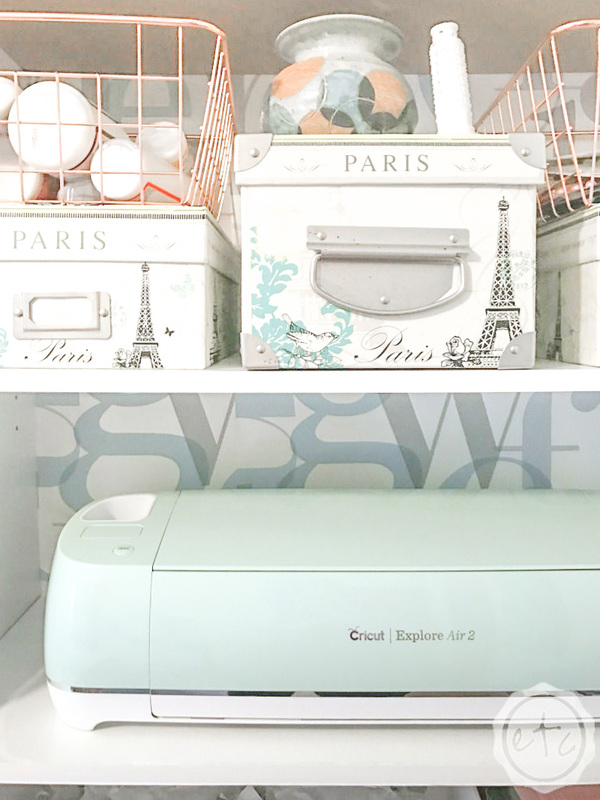 My third and final step in this little Craft Room Reveal is my Giant Pegboard. It’s kind of a-maz-ing… if I do say so myself. I love how it takes up the entire space… it really helps lead your eye all the way to the ceiling which is exactly what my little room needed. I only included a few decorative pieces so that most of the board can be used for holding my most used tools and supplies. I have so many little craft gadgets that I completely forget about because they’re tucked away in a drawer somewhere. 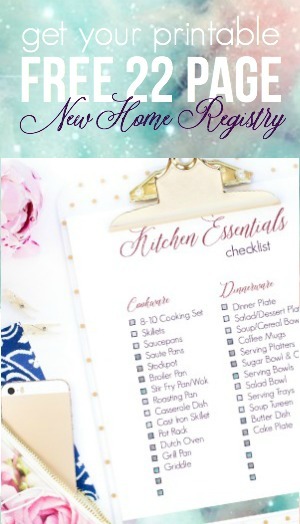 Now they’re out and easily accessible… hopefully this means more crafting and less searching! On a different note, can you believe how long ago it was I painted my big blue craft cabinet? 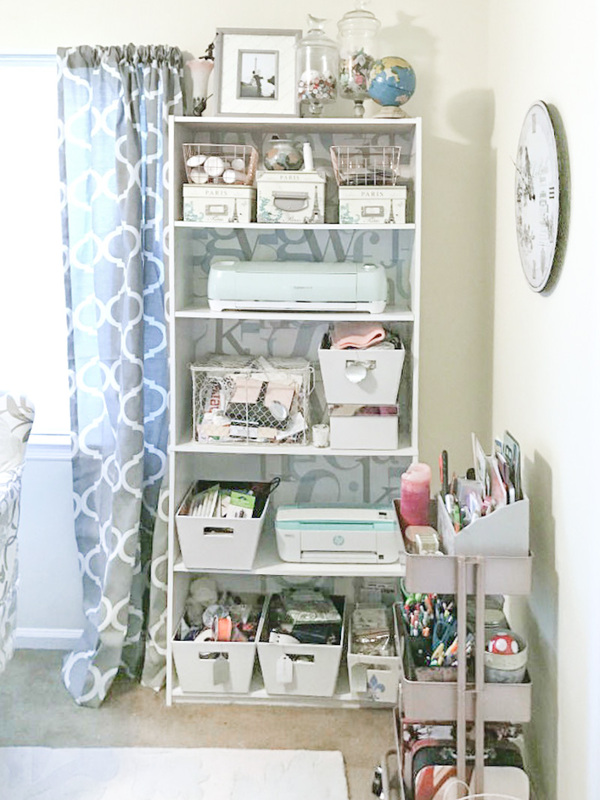 It was the very first step in my Craft Room Makeover and now the entire room is finally finished! Once all the projects were finished the room was ready for the final touches! I hung curtains and the clock over the new storage cart. A few other decorative pieces and the room was finished. 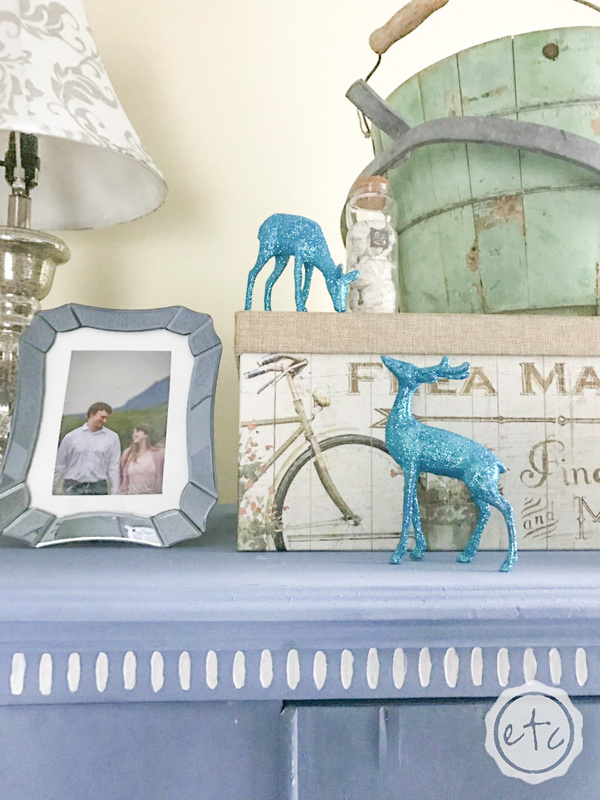 I think my little silver deer is my favorite decorative piece although my little pink ampersand actually looks pretty adorable! I whipped him up for Valentines Day but I think he’ll be a permanent fixture in the room. Once I started organizing the peg board I decided to hang my new camera bag right on the board. It’s small enough to carry just my camera when I’m out and about and it goes perfectly with the room! Ohhh a craft shed sounds amazing! 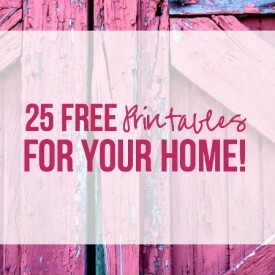 That was my goal with this house… it didn’t matter how small the room I needed a craft room with a door. My very own space! Good luck hon, thanks for stopping by! What a fun space, and for $100, you rocked it out! Thanks Nicki! I was so excited to do this room since I knew I could do it under budget! I’m so glad you stopped by! I would love company crafting! I’m already thinking of all the projects I can work on… specifically finishing (starting lol) my wedding scrapbook. Thanks for stopping by hon! Wow!!! What a huge change and way under budget too! 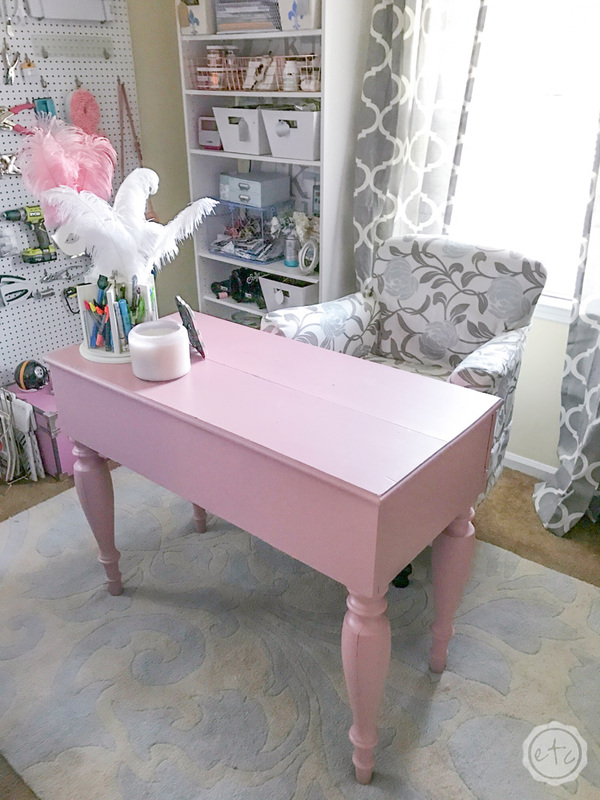 I love the desk painted pink. You did an awesome job! Thanks Tracy! I am in love with how it turned out! It’s not a typical room for sure but it is definitely me! I can’t wait to start on a project. 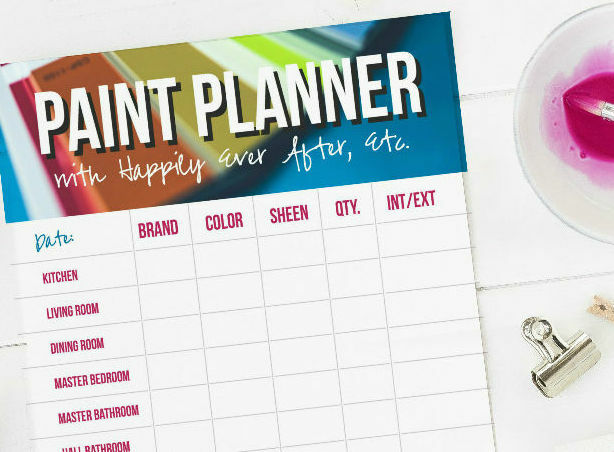 Your craft room is fabulous! 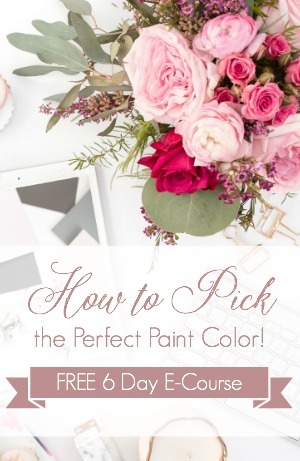 I love the painted desk and chair. You’re so sweet! 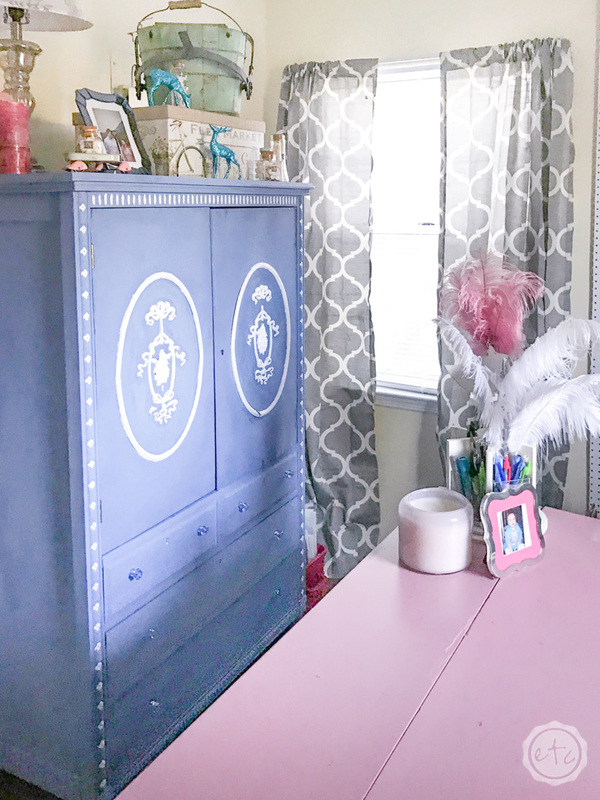 I was definitely nervous about painting the desk but it turned out amazing… at least I think so! Thanks for stopping by hon! That giant pegboard is awesome! 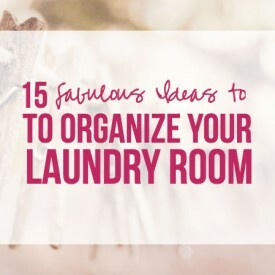 I have a smaller one in my craft room and it is so nice, I can only imagine what you can organize on that thing! I love having all my tools at the tip of my fingertips… I think it will change a little bit as I actually start using it. I want to keep all my most used tools on it so we’ll see what I reach for most over the next few months. I’ve already bought a basket so I can put my hot glue gun and glue sticks somewhere up there! Thanks for stopping by! Wow wow wow that pink desk is awesome!!! 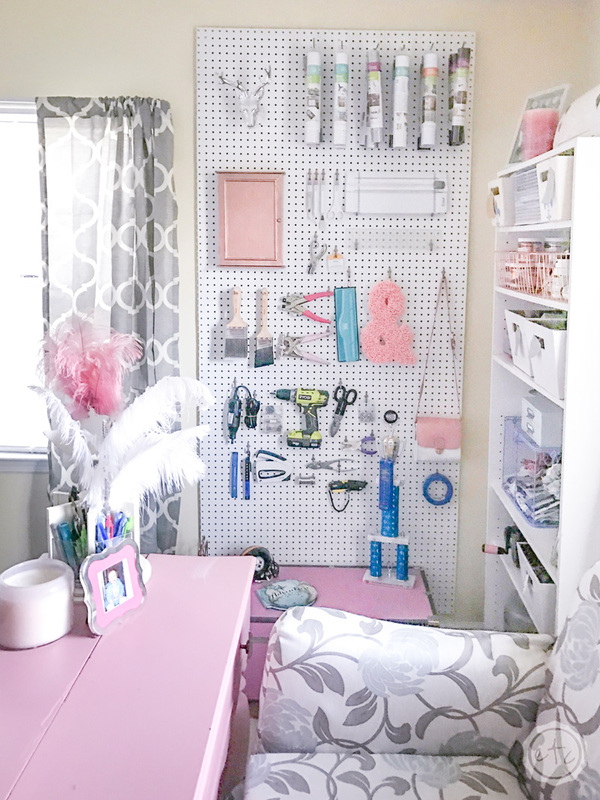 I also love your pegboard (I did one too in my craft room makeover!). Great work! I think pegboards are like liquid gold in craft rooms! So much versatility and room for little tools. 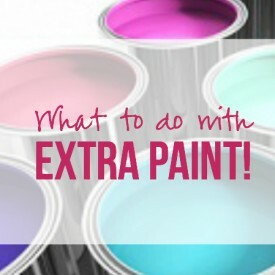 I was scared about painting the desk but it’s kind of the star of the show! Thanks for stopping by Sarah! 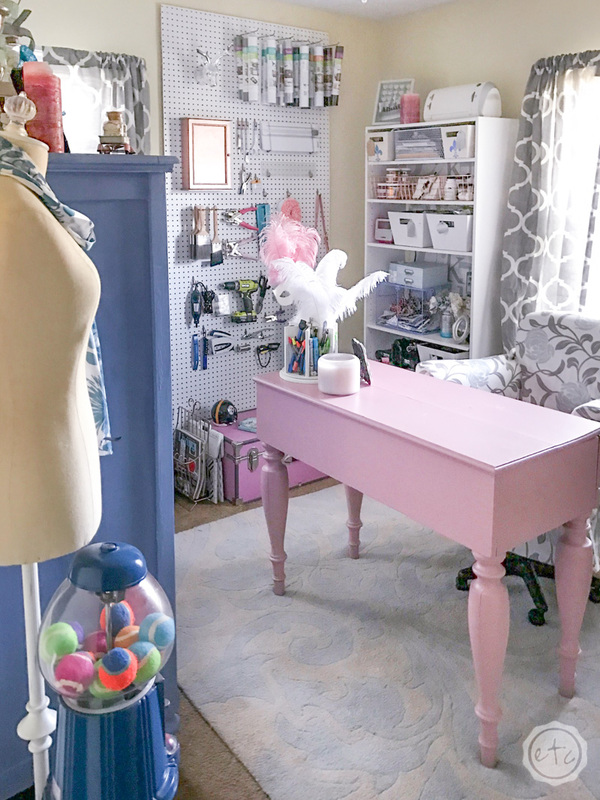 It’s incredible looking back at where this craft room started. It has come a LONG way in one month’s time. 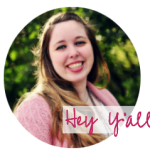 I just love that pegboard… and this time around I noticed tennis balls in a gumball machine 🙂 I am so glad you decided to join in the challenge this month. 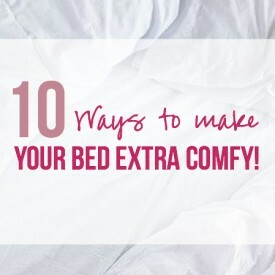 Enjoy your new room! 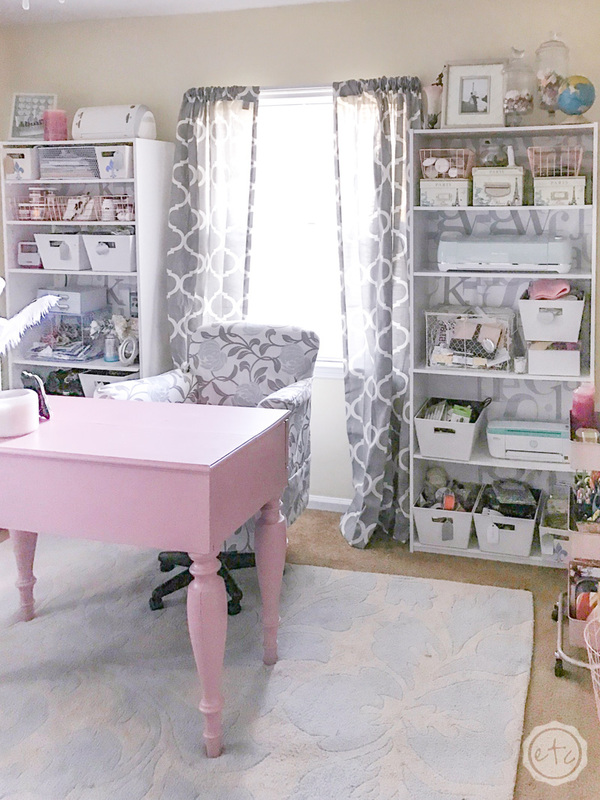 Oh my goodness ~ your craft room looks amazing! 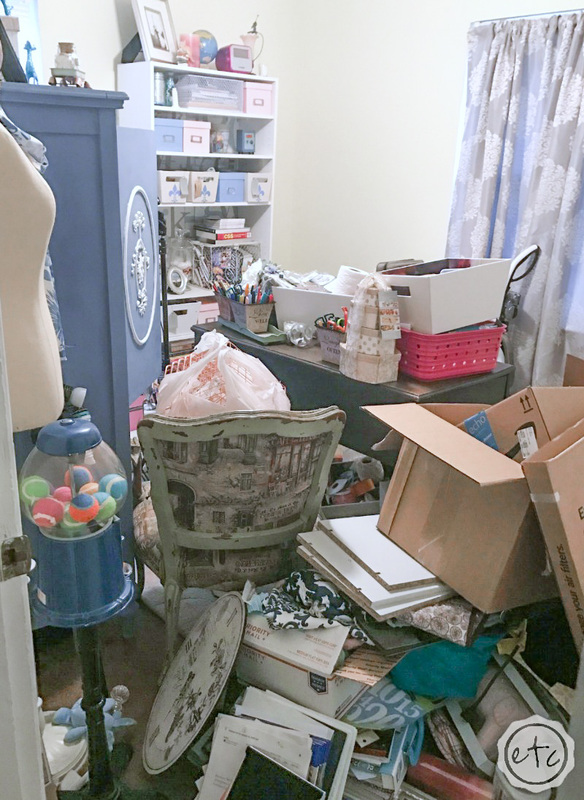 I’ve got a disaster of a craft room that desperately needs some organization and a makeover. Thanks so much for the inspiration!